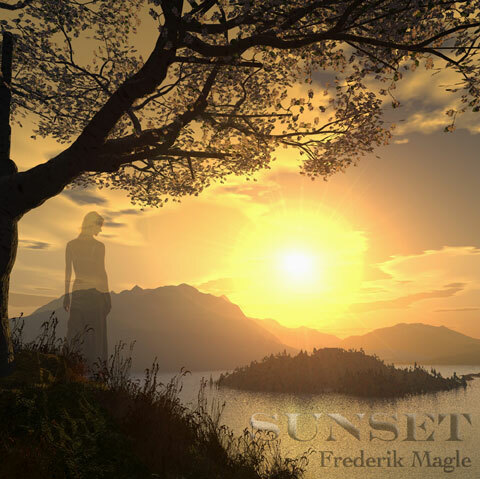 New romantic music for piano composed and performed by Frederik Magle. Sunset - A love song for piano with a touch of melancholy. I have carefully reworked it, recorded a brand new version, and am releasing it here in the highest possible audio quality. Enjoy! UPDATE, March 2013: "Sunset for piano" Sheet music is now available as PDF download for just 4€. You can also buy "Sunset" from the iTunes Music Store or Amazon.com MP3 Downloads, Amazon.co.uk, and many other online music stores. Guide to using the Frederik Magle music store: Click on "Buy" below the tracks you wish to download. The tracks will be added to the "Cart". When ready to purchase click "Checkout", chose your payment method, fill out the form, and click "Approve" which will make a link to the music download(s) appear. Note to Mac-users: The MP3 downloads are 100% compatible with Macs and iPods! The only incompatibility on the music store is the 30-second WMA samples, which currently does not work on a Mac. Instead you can download the longer MP3 sample found above. The sheet music for "Sunset for piano" is now available as a PDF download for the price of just 4€! Ok. late me check you PDF file for "Sunset for piano".